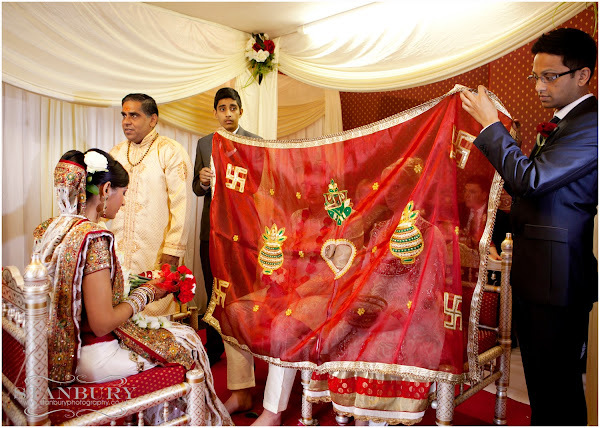 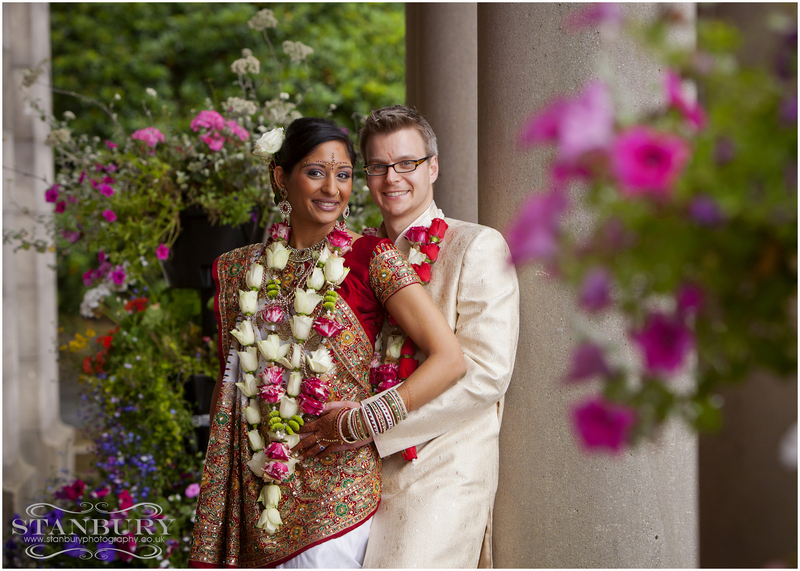 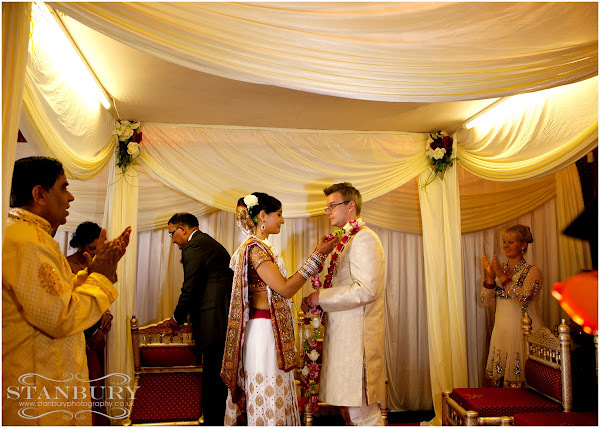 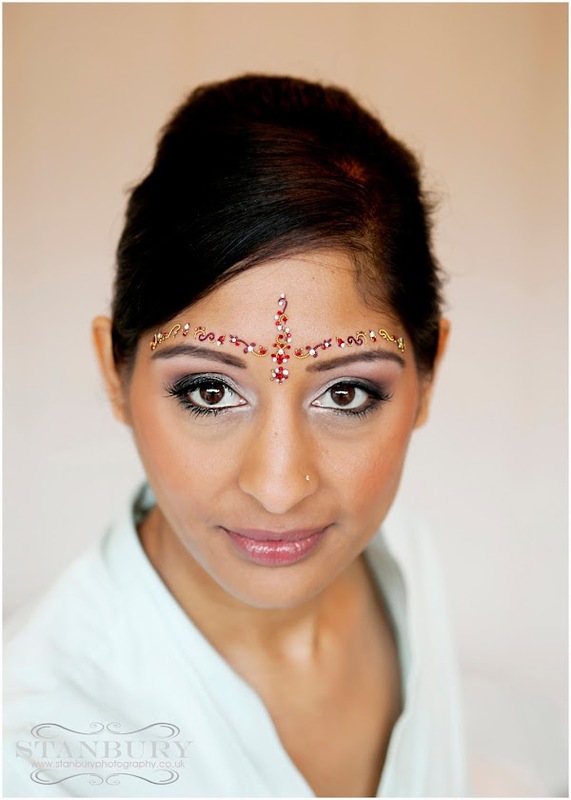 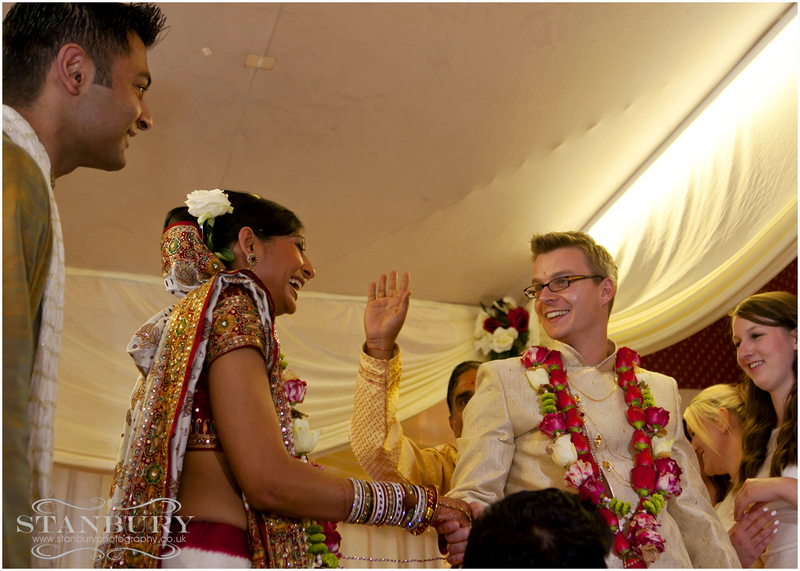 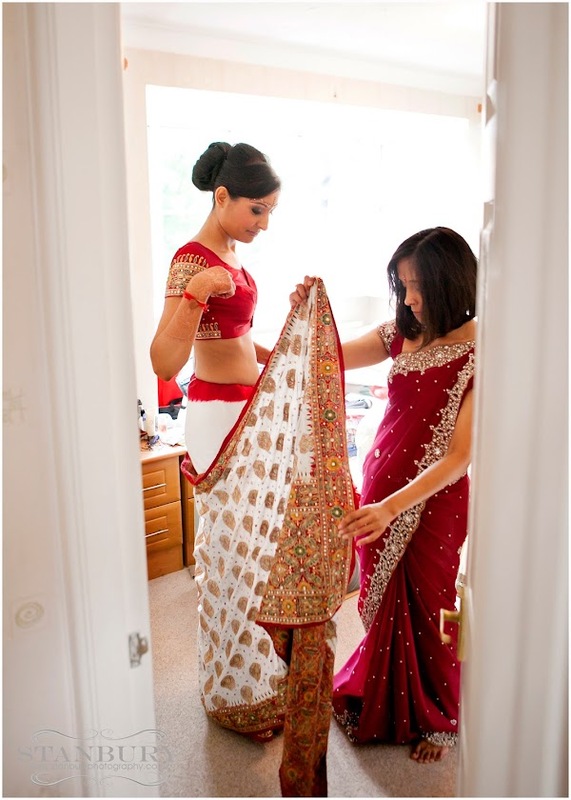 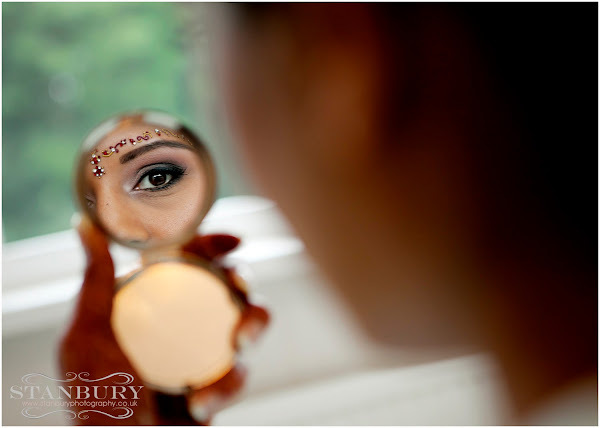 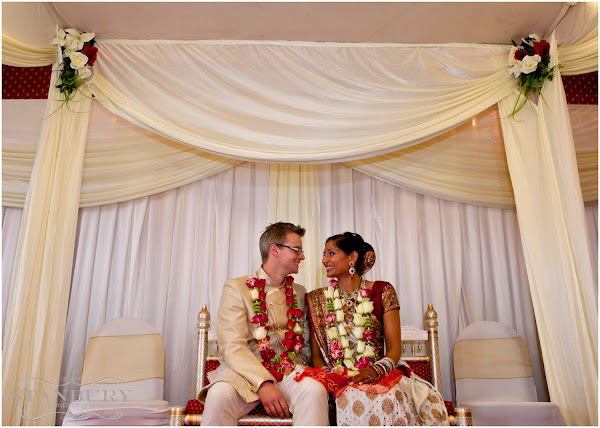 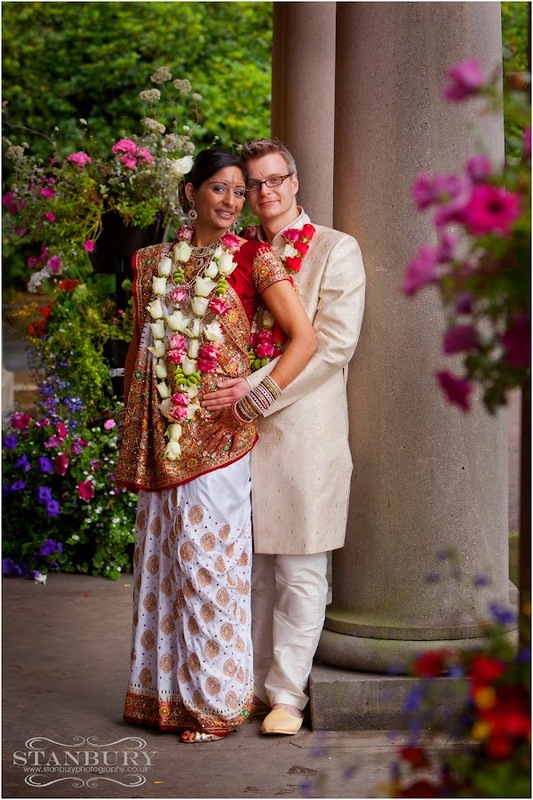 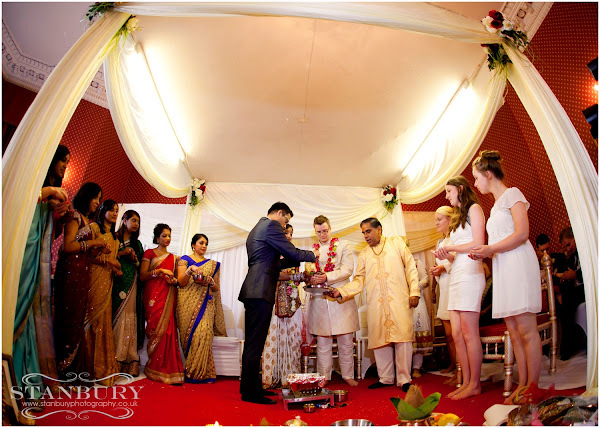 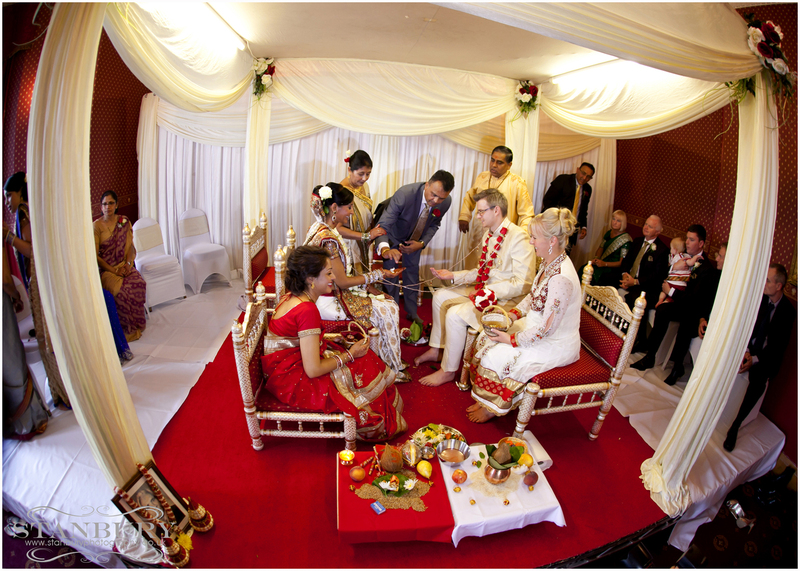 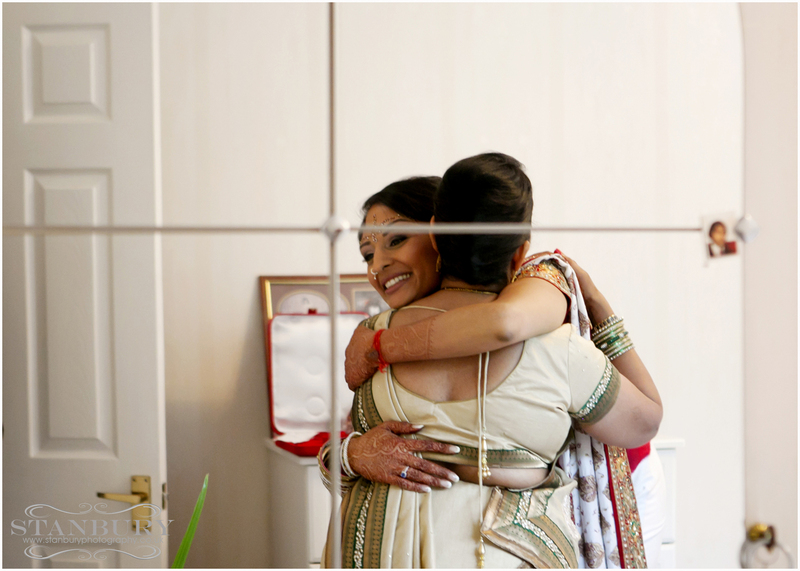 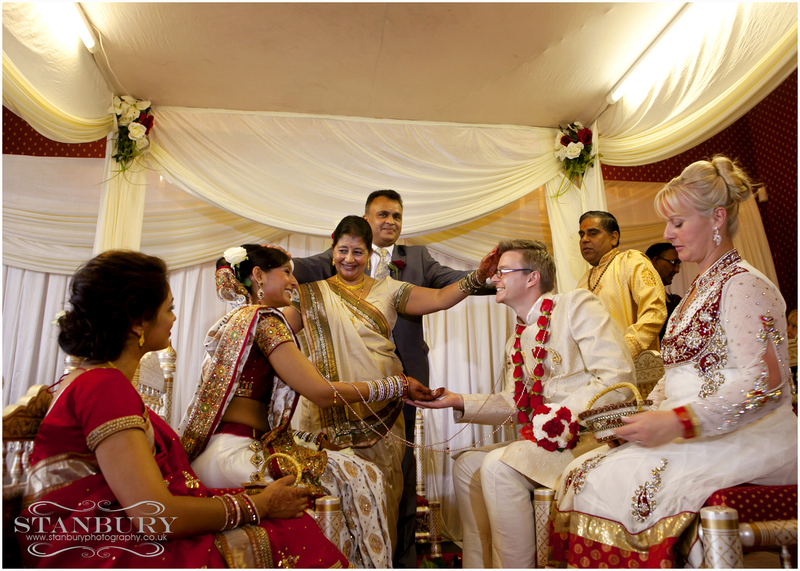 Asian Wedding Photography – Bina & Ben’s Wedding was a lavish,colourful 2 part extravaganza at Haigh Hall. We first met Bina at her Mehndi celebrations and from that moment on the warmth & friendship we received from all her family was amazing, we were treated more like friends than photographers. 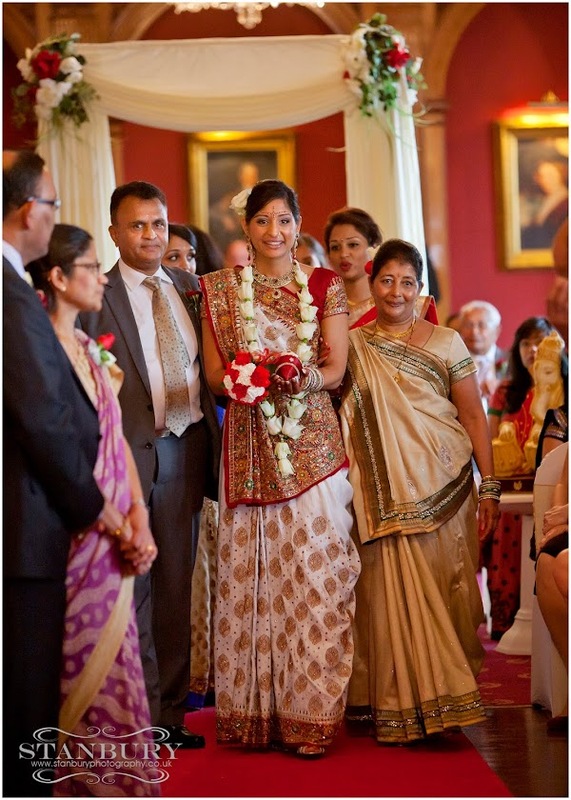 Bina’s wedding dress was truly amazing, the colour,detail & sheer quality was breathtaking and a work of art to put on, but easy in the hands of an expert. We arrived at haigh Hall all decked out for the ceremony,the Hindu ceremony was to say the least fascinating and to think this ceremony dates back generations and the one thing that I did love most was ALL the family was involved. I got the chance to shoot a few quick images of Bina & Ben after the 2 hour ceremony but not long as she was whisked away to prepare for part 2 of the days celebrations………..